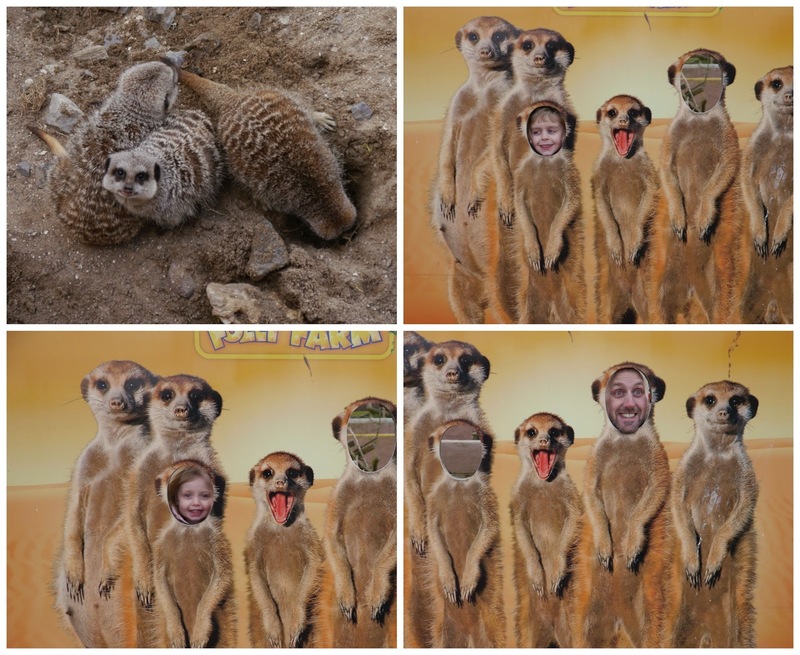 While we were in Wales on our holiday at Bluestone National Park Resort we got the chance to visit a farm, zoo and play centre called Folly Farm. It was only a few minutes drive from Bluestone and after looking on the website we couldn't wait to go. 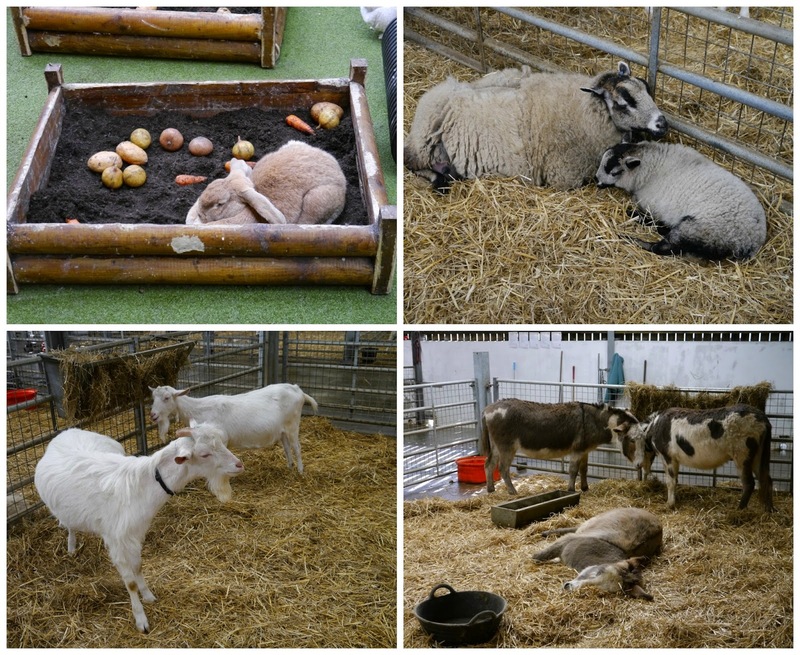 Folly Farm is a family run tourist attraction that offers all the fun of the farm, an established zoo with a wide range of animals and some brilliant indoor and outdoor play areas for children of all ages. We decided to check out the farm area first and were so impressed with how clean everywhere was and how happy the animals looked. There were pigs, goats, sheep, horses, donkeys, chickens, all the animals you would expect to see on a farm, the kids loved walking round and looking at them all. They had set times for when you could handle some animals and Summer got to stroke Minstrel the ferret who was super soft and so friendly. There were also tractors to play on and various farm related games to play around the farm which the kids really enjoyed, it was perfect for children Riley and Summer's age. After the farm area we went into the Vintage Funfair which was full of classic fairground rides like the carousel, dodgems and the Cake Walk and games like hook a duck which is Riley's favourite thing to do at the fair. The kids had a go on hook a duck and won some little prizes and then we had a drink at the cafe before moving on to the zoo. The zoo is fantastic, it has over 50 different species and 250 animals including penguins, lions, giraffes and rhinos to name a few. I have to say that this is probably the best zoo I've ever been to in terms of the size of enclosures, how clean they are and how happy and healthy the animals looked, it's no surprise this place is award winning. We all loved the penguins, we stood for ages watching them playing and jumping out of the water, the kids were transfixed. The lions were beautiful and it was a shame that we couldn't really get a good photo of them as our camera doesn't zoom very far, the kids also loved the meerkats which were so cute. One of our favourite enclosures was the giraffes and zebras, there is a platform that you can walk up which puts you almost at eye level with the giraffes and allows you to see these beautiful creatures up close, they really are a sight to see. After the zoo we went for lunch in the indoor play area at the back of the Vintage Funfair and the kids had a brilliant time playing, climbing and sliding down the super fun slides. Me and Ian were well and truly exhausted after chasing the kids around there for a while. The kids were still up for playing though so we went outside and played for ages on all of the amazing play areas, there was so much fun to be had you really could easily spend a whole day there no problem. We had a fantastic day at Folly Farm and can't recommend it enough, it's the perfect day out for families of all ages and really great value for money. There's plenty to do inside and outside so it doesn't matter what the weather is like, we'd definately visit again the next time we're in Pembrokeshire.